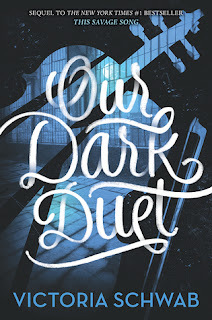 This week, I'm super excited for Our Dark Duet by Victoria Schwab! I absolutely LOVED book one, This Savage Song, and can't wait to find out what happens with these characters! While there was limited to no romance in book one, I am crossing my fingers for some kissy times in Our Dark Duet!